Our collection of grand strategy games like Europa Universalis offer other deeply satisfying strategy experiences in various settings. The Europa Universalis franchise is one of the leading adventures in the 4X grand strategy genre. Focusing on mostly medieval eras between 1400 and 1800 the games have captured a large audience for their blend of military, diplomacy and economic elements. With a real time format on massive game maps the amount of content and variety has been the greatest asset to the franchise and allowed it to grow into a large franchise. The series gameplay has remained unchanged for the most part with the most recent additions to the franchise offering players interactive maps of the Earth split into individual provinces that provide benefits but can also be a drain on resources if ill managed. This reflects a core ideology of the franchise which is contained added depth with each game, ensuring the grand strategy series is near unmatched in design. Spending your limited resources across your objectives is the key to conquering in all Europa Universalis games, a goal that generally requires a significant diplomatic investment. This ties into the realistic nature of the game which opts for realism more so than any other similar title in the genre. 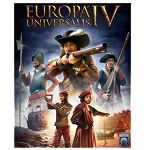 The games like Europa Universalis selected below will you have devising unique strategies as you seek to take on the world and other objectives. With games from the medieval to fantasy and science fiction there is a strategy game out there for all tastes.